Join our Curate, Jesse Lebus for The Wilderness of Lent: Seeking Our Identity & Purpose, a presentation on how the 40 days of Lent are mirrored throughout the bible. The rain and the flood lasted for 40 days. The Israelites wandered in the wilderness for 40 years. Moses and Elijah fasted for 40 days. After being baptized, Jesus walked out into the desert for 40 days to fast and pray. 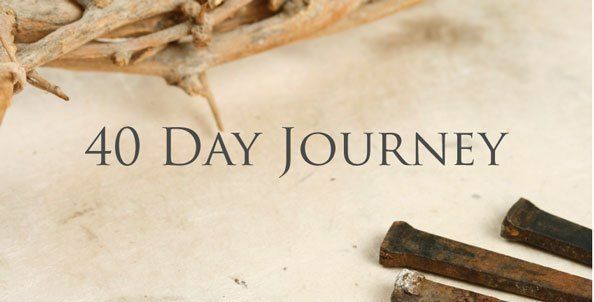 What happened during those periods and how does that inform our 40-day journey towards Easter. Join us to find out. A simple soup lunch will be provided. Please remind your friends and families and bring them along.